It wasn’t until recently that the many health benefits of moringa seeds have become widely known in the world. 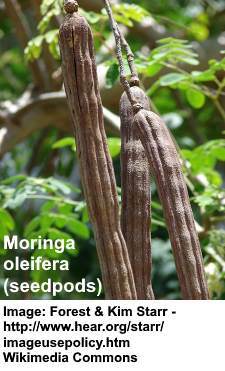 Moringa seeds come from the moringa tree (Moringa Oleifera) which is native to northwestern India and is sometimes called the drumstick tree or horseradish tree. Almost every part of the moringa tree has many health benefits. For centuries, the seeds, leaves, flowers, and roots, and have all been used in traditional medicine because of their health boosting benefits. 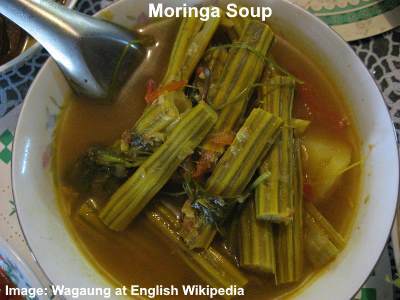 Moringa Seeds – what are they? 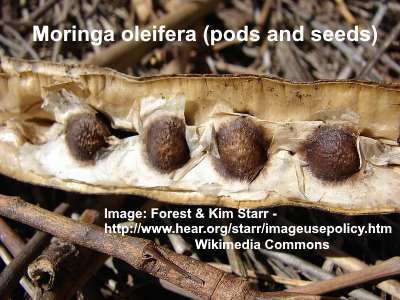 The moringa seeds are removed from the inside of a long and slender pod that dangles from a branch of moringa tree. The seeds can be roasted and then eaten like nuts or they can be cooked like peas or beans. Moringa seeds are a rich source of antioxidant and anti-inflammatory properties which can be used to help treat heart disease, lower cholesterol, reduce blood sugar levels, and boost your immune system. The seeds from the moringa tree help to keep a person healthy because they are also a rich source of vitamins and essential minerals. 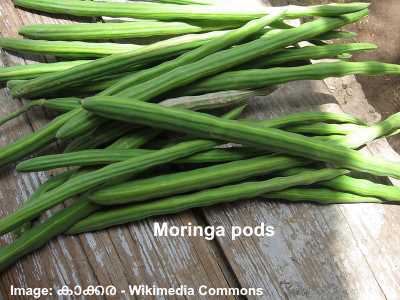 However, the health benefits of moringa seeds also extend to using them externally. Oil can also be extracted from moringa seeds and used as a natural moisturizer to keep your skin looking young and healthy. In fact, the pulp left over after extracting oil from moringa seeds contains powerful antibacterial properties that are used to purify water in many countries. In this article, I will look at the many amazing health benefits of using moringa seeds to help treat and manage various health conditions. So, a daily dose of moringa seeds can help take care of your general health and may even prevent various diseases from developing. By consuming some moringa seeds every day, you can help reduce your risk of cardiovascular diseases. Consuming moringa seeds regularly can help lower cholesterol in your blood and therefore protect the health of your heart. Moringa seeds do this by helping to increase the amount of high-density lipoprotein (HDL) cholesterol. By incorporating more moringa seeds into your daily diet you can help to reduce the health risks of too much cholesterol in the blood. Moringa seed is a natural remedy to help naturally regulate blood sugar levels in people suffering from diabetes. Therefore, if you suffer from diabetes, consuming moringa seeds or their extract can help boost your health and keep your blood sugar levels in check. The antioxidant effect of moringa seed oil benefit your health by protecting you from liver damage. Moringa seed oil contains important compounds which help to rid liver tissue from free radicals that can lead to liver disease. 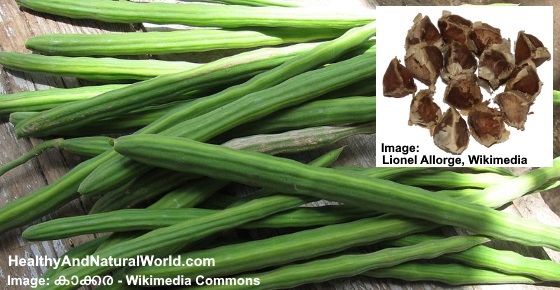 Therefore moringa seeds have amazing ability to help keep your liver healthy and free of toxins. Moringa seeds also have an anti-inflammatory effect which can help to soothe and treat gastric or peptic ulcers. Ulcers in the stomach wall can cause pain after eating and can be difficult to treat. You can use powder from moringa seeds as a natural remedy for ulcers. 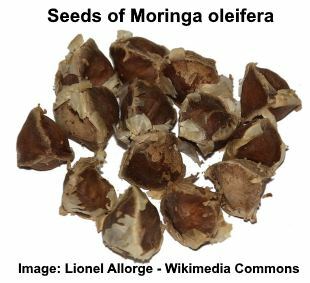 A study into the effect of moringa seeds on ulcers found that is wasn’t just the potential for moringa to reduce inflammation that helped treat ulcers. The antioxidant properties of the seeds also played an important role in reducing the symptoms of the ulcer.13 The study also found that moringa seeds were so potent in treating ulcer symptoms, that even low doses were effective. If you suffer from stomach ulcers, you can also try potato juice, cabbage juice or aloe vera juice – all are known to help with the healing process of ulcers. If you suffer from sore joints or pain caused by rheumatoid arthritis, moringa seeds are one of the foods to eat for arthritis as part of your pain management regime to help you to enjoy a better quality of life. One study published in the Indian Journal of Pharmacology found that taking 3 g of moringa seeds for 3 weeks helped to improve the symptoms of bronchial asthma. Patients found that they had fewer attacks of coughing, wheezing, and shortness of breath.19 The researchers said that moringa seed powder is a useful treatment for bronchial asthma. Use moringa seed extracts as a natural remedy for bronchial asthma. The antispasmodic effect of moringa seeds can help reduce the frequency and severity of asthmatic attacks and its anti-inflammatory properties can help to effectively reduce inflammation in your chest and airways. Moringa seeds contain essential vitamins and nutrients that are needed to keep your immune system healthy and strong. In fact, moringa extracts are one of the best ways to give your immunity a boost. The best way to consume moringa seeds to enjoy all their health benefits is to eat the seeds like you would eat any other nut. You can add them to your breakfast, or eat along with other nuts and dried fruits. You can also find in this page in Amazon moringa seeds for eating or planting. If you are able to obtain fresh seeds, you can cook them as you would peas and use them as a delicious and healthy accompaniment to any meal. Many of the studies mentioned in this article used 3 g of moringa seeds daily to get the health benefits. To find out more about the moringa tree and why it’s a true superfood read my article about the amazing health benefits of moringa oleifera. Thanks for the information. It was really helpful!